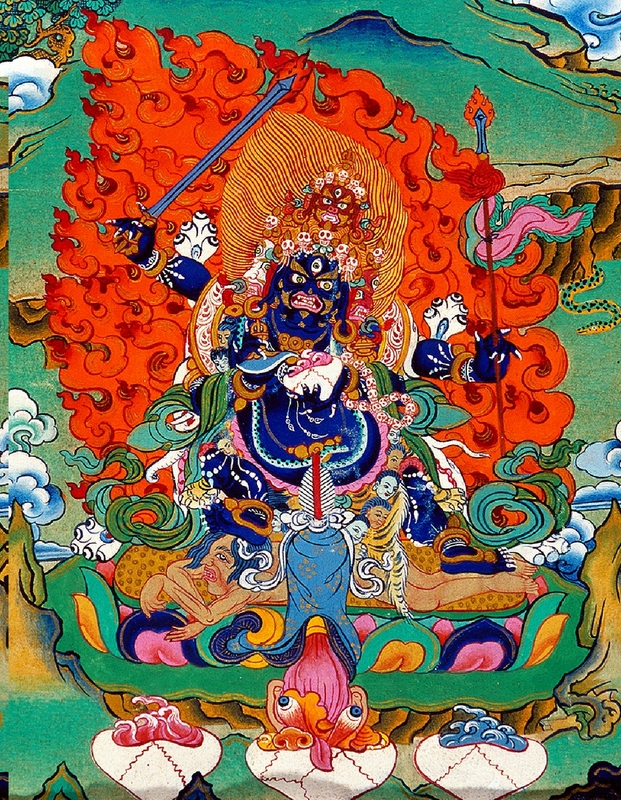 Mahakala appears in the form of a wrathful deity. It is not because there is something ferocious about Mahakala or that he is aggressive. Mahakala is none other than the inseparability of compassion and loving-kindness. In the view of ultimate wisdom, there is no separation between the Awakened Mind of Buddha and that of Mahakala. Mahakala is a manifestation of the awakened mind. From a teaching given by the Ven. Khenpo Karthar Rinpoche on February 2, 1981 at Karma Triyana Dharmachakra; translated by Ngodrup Burkhar and edited by Agnes M. Ruch.